12,000 rpm | 105 Nm | 13 kw. The spindle nuts are cooled with oil. 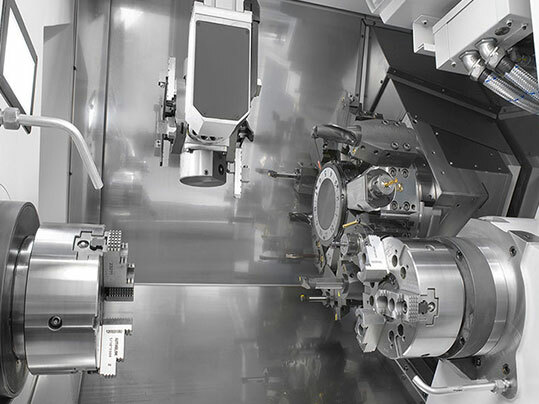 Latest generation high performance CNC lathes. The TD Z800 cnc lathe meets all safety and quality standards in the machining of high precision parts for medium-sized series. Valid for machining parts with simple and complex geometries with optimal and precise results. The spindle nuts are cooled with oil, both on the X and Y axes. The tool holder disk with 16 positions reaches tool change times of 0.2 seconds. Large diameter tool holder disc reduces interferences between the tools and the plate.